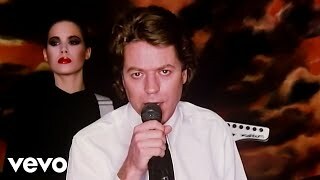 Music video by Robert Palmer performing Simply Irresistible. 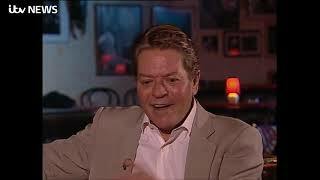 Palmer, aged 54, died from a heart attack in a Paris hotel in September 2003, two days after giving this interview for Yorkshire Television. Palmer was at the time making a documentary programme for the channel about his musical influences titled "My Kinda People". 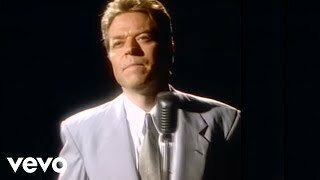 The official promo video for 'Some Like It Hot' by The Power Station. 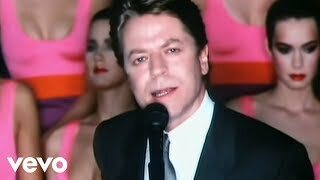 It was the first single released from the group's 1985 eponymous debut album, released by Parlophone Records in 1985. It was the band's biggest hit, peaking at number six on the Billboard Hot 100 singles chart. The video featured the transgender model Caroline Cossey, also known as Tula. 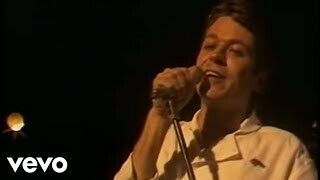 The Power Station was a supergroup featuring Robert Palmer, John Taylor and Andy Taylor from Duran Duran and Tony Thompson from Chic. Subscribe to the Rhino Channel! http://bit.ly/SubscribeToRHINO Check Out Our Favorite Playlists: Rhino Favorite 100 http://bit.ly/RhinoFavorite100 80s Hits http://bit.ly/80sMusicHits Classic Rock http://bit.ly/ClassicRockFavorites Stay connected with RHINO on... Facebook https://www.facebook.com/RHINO/ Instagram https://www.instagram.com/rhino_records Twitter https://twitter.com/Rhino_Records https://www.rhino.com/ RHINO is the official YouTube channel of the greatest music catalog in the world. Founded in 1978, Rhino is the world's leading pop culture label specializing in classic rock, soul, and 80's and 90's alternative. The vast Rhino catalog of more than 5,000 albums, videos, and hit songs features material by Warner Music Group artists such as Van Halen, Madonna, Duran Duran, Aretha Franklin, Ray Charles, The Doors, Chicago, Black Sabbath, John Coltrane, Yes, Alice Cooper, Linda Ronstadt, The Ramones, The Monkees, Carly Simon, and Curtis Mayfield, among many others. Check back for classic music videos, live performances, hand-curated playlists, the Rhino Podcast, and more! 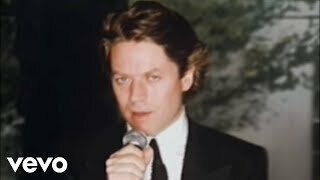 A cover of two Marvin Gaye's "Mercy Mercy Me" and "I Want You" singles from Robert Palmer (Rest in Peace). 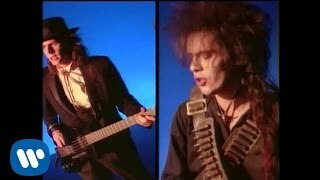 You're watching official music video for 'Get It On (Bang A Gong)' by The Power Station. The Power Station was a supergroup featuring Robert Palmer, John Taylor and Andy Taylor from Duran Duran and Tony Thompson from Chic. Subscribe to the Rhino Channel! http://bit.ly/SubscribeToRHINO Check Out Our Favorite Playlists: Rhino Favorite 100 http://bit.ly/RhinoFavorite100 80s Hits http://bit.ly/80sMusicHits Classic Rock http://bit.ly/ClassicRockFavorites Stay connected with RHINO on... Facebook https://www.facebook.com/RHINO/ Instagram https://www.instagram.com/rhino_records Twitter https://twitter.com/Rhino_Records https://www.rhino.com/ RHINO is the official YouTube channel of the greatest music catalog in the world. Founded in 1978, Rhino is the world's leading pop culture label specializing in classic rock, soul, and 80's and 90's alternative. The vast Rhino catalog of more than 5,000 albums, videos, and hit songs features material by Warner Music Group artists such as Van Halen, Madonna, Duran Duran, Aretha Franklin, Ray Charles, The Doors, Chicago, Black Sabbath, John Coltrane, Yes, Alice Cooper, Linda Ronstadt, The Ramones, The Monkees, Carly Simon, and Curtis Mayfield, among many others. Check back for classic music videos, live performances, hand-curated playlists, the Rhino Podcast, and more!